View More In Chicago Blues. Chicago Blues Reunion is a collaboration of Chicago music legends who defined the sound of their generation in the 1960's. 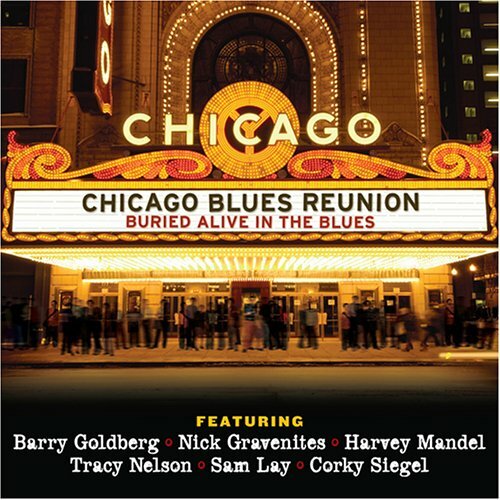 Last year, Barry Goldberg, Nick Gravenities, Harvey Mandel, Tracy Nelson, Sam Lay and Corky Siegel joined forces once again and the result is a two disc set "Buried Alive In The Blues". One audio CD and one DVD (60 minute DVD, 30 minutes of music, 30 minutes of interviews with the CBR bandmates plus on screen recollections from Steve Miller, BB King, Eric Clapton, CArlos Santana and others telling the North Side Chicago blues story of the 60's from various perspectives). If you have any questions about this product by 33rd Street, contact us by completing and submitting the form below. If you are looking for a specif part number, please include it with your message.